Jelly Garden quilt kit...designed by April Zimmer. 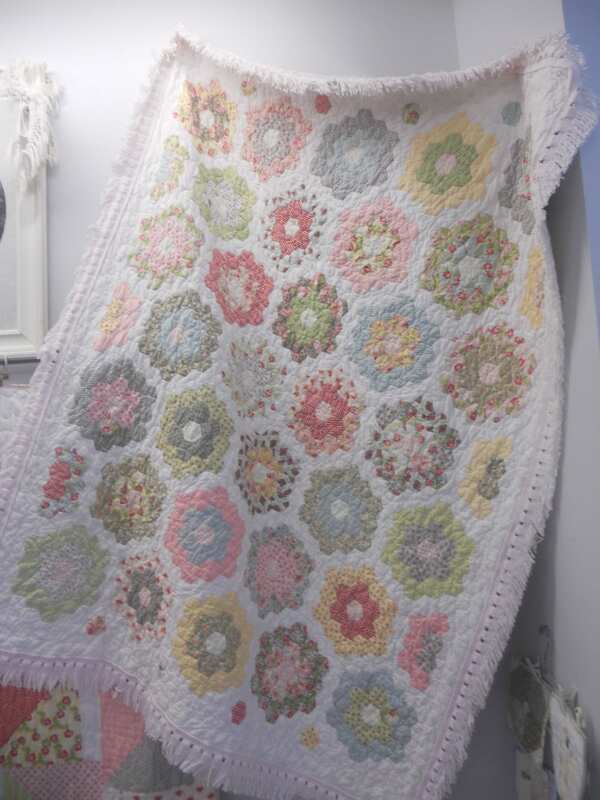 This lovely little throw measures just 50 x 63 inches and is wonderful for anyone looking for a simple project that can be done anywhere! English Paper Piecing is the method I used...but there are lots of ways people do it. Pop over to our blog and see how I baste my papers. Jelly Garden uses 1 (yes...just 1) jelly roll or layer cake and 3 yards of background. We added a fringe to ours, but you can trim straight and bind if you prefer. Ambleside Jelly Roll was used in the project. Amberley is Brenda Riddle's 8th collection...and a close sister to her Ambleside collection. Wonderful kit. Very clear instructions. 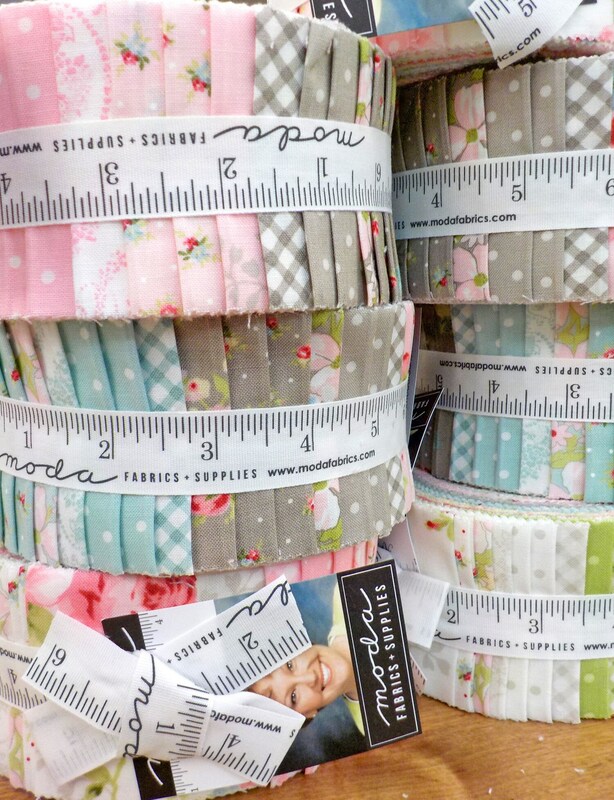 Looking forward to making this quilt. Always a pleasure buying from this seller. Thank you.